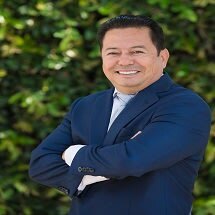 Angel Carrazco Jr., born and raised in Orange County, began his legal career at a distinguished Century City law firm near the Los Angeles metropolitan area. Through the years, he has become a litigation attorney highly regarded among his peers, colleagues and community. Mr. Carrazco is a graduate of Gerry Spence’s Trial Lawyers College, which focuses on obtaining justice for the people from corporate and government oppression. Mr. Carrazco attended California State University, Fullerton, where he received his post-baccalaureate degrees in international business and Spanish literature. Mr. Carrazco furthered his education by attending Loyola Law School in Los Angeles, where he obtained a Juris Doctor. In 2004, he began a small firm in Long Beach and later relocated to Orange County to expand his practice and formed Carrazco Law, A.P.C. He serves a statewide client base in areas of personal injury, civil rights, workers’ compensation and immigration. Mr. Carrazco is also a partner with Guizar, Henderson and Carrazco, LLP, which focuses on defending people’s civil rights across the nation. Mr. Carrazco attributes his success not only to listening to and understanding the needs of his clients, but also to surrounding himself with a staff of knowledgeable, helpful and caring individuals. Mr. Carrazco is very involved in the local community with nonprofit organizations such as KidWorks and Serve the People of Santa Ana, where he serves on the board of directors. Serve the People offers food and medical, legal and educational aid to indigent families.